Dating jitters commonly lead to burnout and an overwhelming, dissatisfying dating life. Feeling anxious or insecure naturally impacts how well a date goes, making it important to utilize proactive strategies for anxiety management, personal growth, and relaxation. Self-care is an element of dating many people seem to miss, which is why I wanted to write this article. For 15 strategies to decompress and de-stress from dating while participating in healthy self-care, click here to check out my latest article, written for eHarmony. It’s important to be aware of the obvious and not-so-obvious habits that can cause distance, annoyance or frustration between partners, and damage and destruction to relationships. As well as cultivating an awareness about these behaviors, it’s essential to develop strategies to break these habits and replace them with choices that will strengthen your relationship and create continued connection. To learn more about 11 unhealthy habits in relationships and how to break them, click here to check out my latest article, written for www.datingadvice.com, a leading online resource for dating and relationships. Many of my relationship coaching clients ask me what they might be doing wrong when their online dating messages don’t result in dates or when someone they were messaging with goes completely MIA. They also share what turns them off in messages from potential partners and keeps them from accepting dates. While the online dating process may feel confusing and out of control, you can take positive and intentional action to ensure you are sending high-quality messages online and avoiding common online dating/messaging mistakes. For a list of eight reasons your messages aren’t working and advice on how to send messages that will result in dates, click here to check out my latest article, written for eHarmony. If you’re in or have ever been in a long-distance relationship, you have experienced the unique challenges and opportunities for connection that long-distance relationships create. There’s a lot you can do to ensure your long-distance relationship thrives and you continue to feel connected to your partner despite logistical barriers, time apart and distance. For advice on how to cultivate and keep a healthy and happy long-distance relationship, click here to check out my latest article, written for www.datingadvice.com, a leading online resource for dating and relationships. The decision to seek couples counseling is often led by one partner. Encouraging your partner to go to counseling with you can be a frustrating, emotional and painful process. It is important to have effective strategies to make communication go better (and not turn into a war or power struggle). For advice on how to talk to your partner about your desire to go to couples counseling, I hope you will click here to check out my latest article, written for www.datingadvice.com, a leading online resource for dating and relationships. As you wrap up 2017 and welcome in 2018, it is a powerful time of year to reflect on your dating life and confront any fear and frustration you face around relationships. Even though dating may feel miserable, anxiety-provoking and hopeless at times, there is a lot you can do to approach dating with a healthy, hopeful mindset and align your behavior with your dating goals. Click here to check out my eHarmony article on six strategies for self-reflection, leaving the past behind, ensuring you are emotionally available, dating smart and finding a great relationship for the long haul. The way you treat yourself directly affects the quality of your relationships and how you allow others to treat you. Treating yourself in kind, compassionate and loving ways positively impacts your relationships and dating life, as well as offers incredible mental health and physical health benefits. Click here to check out my eHarmony article and learn more about self-kindness and how to implement self-kindness practices in your daily life and dating life. If you are dating someone going through a divorce, you may find yourself in a delicate situation filled with questions and new experiences, such as wondering if your date is ready for a serious relationship and handling an ex-spouse and children. You may wonder how much to bring up the past, how to pace dating and how to view his/her previous marriage. There is nothing wrong with dating someone going through a divorce as long as there are clear signs of readiness and openness and you are not simply a rebound relationship (read the article below for clues you are a rebound). Click here to access my article offering eight tips to help you navigate dating someone going through a divorce, written for www.datingadvice.com, a leading online resource for dating and relationships. I wrote this article as an assessment tool for you to use to check in with yourself about your actions, thoughts and feelings around love, intimacy and dating. The article states 15 signs you are ready for love and discusses a healthy mindset for love and connection. Click here to access the full article as featured on eHarmony. Welcome to Rachel Dack Counseling LLC’s blog, written by Rachel Dack, a Licensed Clinical Professional Counselor (L.C.P.C.) and Nationally Certified Counselor (NCC). Rachel provides psychotherapy and dating/relationship coaching services to individuals and couples in her Bethesda, Maryland office and over the phone. All relationships go through stages and transitions. It’s natural to have dips in passion and desire and these changes do not necessarily mean something is wrong in your relationship. If you are feeling bored or in a rut or trying to adjust to a new relationship stage (moving in together, having kids, sending kids to college, etc. ), there is a lot you can do to make your relationship feel loving and exciting again and connect with your partner in deeper ways. Click here to access my article offering ten strategies to help you get the spark back in your relationship, written for www.datingadvice.com, a leading online resource for dating and relationships. For increased dating success, it is important to own who you are and understand what works best for your personality. In fact, different dating strategies work best for different personality types because introverts and extroverts (and everyone in between) may face differing dating dilemmas. In particular, introverts may be more prone to dating burnout and fatigue, which is why employing healthy strategies is essential. Click here to access my advice for dating as an introvert as featured on eHarmony. Dating on autopilot, staying in your comfort zone, not acknowledging genuine thoughts and feelings and dating unintentionally generally lead to unsuccessful dating and dating difficulties. Applying a mindful approach to your dating life will make you feel more confident, in control and aware of your thoughts, feelings and behaviors. Click here to access my article on mindful dating (plus four dating websites to try), written for www.datingadvice.com, a leading online resource for dating and relationships. Knowing when to stay in a relationship and when to exit can be an overwhelming and emotionally draining decision. I often work with clients who enter psychotherapy or coaching wondering if they are thinking about a potential breakup in the “right” or healthiest way, so I decided to write an article to guide your decision about staying in your relationship or ending it. Click here to access my article, written for www.datingadvice.com, a leading online resource for dating and relationships. Also, for more information on how to get over a breakup, click here. Depression impacts the quality of your life and relationships. Specifically in romantic relationships, depression can make quality time with your partner less enjoyable and create feelings of hopelessness about where your relationship is going. Depression can also affect your relationship in a variety of other ways. Learning how to take care of yourself, communicate with your partner and not let your mental health ruin your relationship will lead to healthier, more successful romantic relationships. Click here to learn how depression affects relationships and how to manage depressive symptoms for greater relationship health, written for www.datingadvice.com, a leading online resource for dating and relationships. 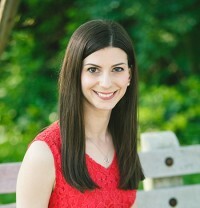 Please connect with Rachel by emailing Rachel@RachelDack.com, calling 301-655-8462 and following Rachel on twitter and Facebook. Check back for more valuable resources, relationship advice and mental health tips! The end of a relationship can be devastating, leading to changes in routine, mood, interest in activities and hobbies, and other physical symptoms, such as poor sleep quality and loss of appetite. Are you wondering what you can expect and how long it takes to heal from a breakup? Wondering how to handle and grieve the loss of a relationship? Wondering how you can help yourself and friends during breakups? I hope you will click here to check out my advice on how to get over a breakup written for www.datingadvice.com, a leading online resource for dating and relationships.